While inter-franchise crossover events might be rare when it comes to movies or television, they’re pretty common in the world of comic books. The crew of the Enterprise have been the subject of several of those crossovers over the years. And why not? They’ve been back in time, into other dimensions, and even to the center of the galaxy to find God, so why not warp into an entirely different universe now and then? We’ve seen comics team-ups between Star Trek and the X-Men, Star Trek and the Legion of Super-Heroes, even Star Trek and The Doctor. IDW Publishing and Boom! 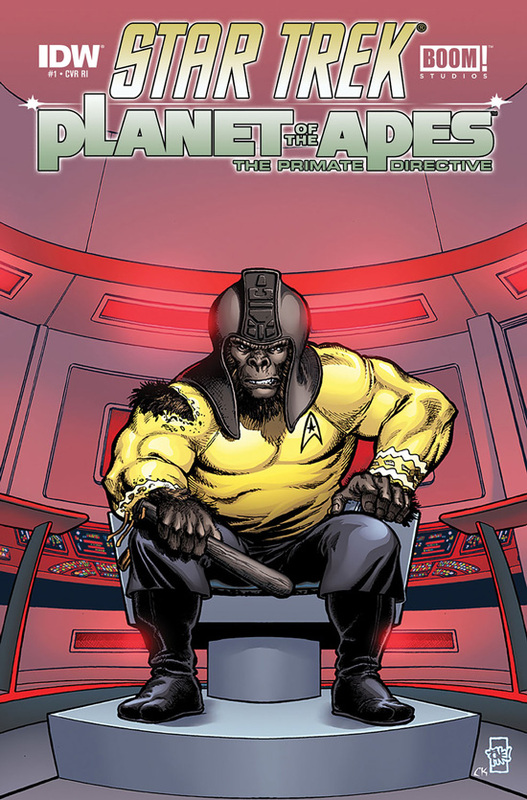 Studios are giving us one of the craziest Trek crossovers yet, and now we’ve got new details about the upcoming Star Trek/Planet of the Apes: The Primate Directive. Yeah. They pretty much had to create this series just to get that title out there. Also, I’m not sure if that’s supposed to be an ape-ified Kirk or just an ape in a Starfleet uniform up top, but if it is Kirk can we just take a moment to appreciate him finding yet another way to rip open his shirt? There was recently a small flurry of news regarding Star Trek 3, it involved potential start dates, a script, and possible details about the story, among other things. Part of the reports making the rounds included the nugget that the script, as is, contains a scene that reunites Leonard Nimoy’s Spock with William Shatner’s Captain Kirk. As you can imagine, such an idea sparked a ton of interest and this story spread far and wide across the Internet. There was even some back and forth between Shatner and (probable) director Roberto Orci on the matter—Shatner accused Star Trek 3 of using his name to create hype and said that he hadn’t been contacted about anything. Overall, it felt like the situation was blown way out of proportion (no one ever said he had been contacted or was in, just that the script contains this scene), but that last part of his complaint is now moot, as the star confirmed that he has now been in touch with production. Shatner appeared at the Wizard World Nashville convention over the weekend, and according to ComicBook.com he said that discussions about a possible role have in fact now happened. And it was none other than producer and director of the first two films in the rebooted franchise, J.J. Abrams, taking a moment away from helming Star Wars: Episode VII, to make the call. If we’ve learned anything this summer, it’s that Rocket Raccoon and Groot make damn near everything better. Whether it’s a band of criminal misfits or a drowsy summer box office, a concentrated dose of gun-loving space raccoon and monosyllabic anthropomorphic tree creature is just what the doctor ordered, even if that doctor seemed sort of shifty and was operating out of the back of a van with the engine idling. Well, clearly Marvel has learned this lesson well — the $633 million worldwide take thus far may have helped hammer it home — because they’re letting Rocket and Groot conquer their comic-book universe this November. Well, the covers at least. Cashing in on the ridiculous success of the Guardians of the Galaxy movie, Marvel has already launched several Guardians spin-off comics, including series focused on Star-Lord and Rocket. Now Marvel has announced that Rocket and Groot will be featured on variant covers for 20 select comics from the self-proclaimed “House of Ideas” this November. Even cooler, the covers will be paying homage to iconic Marvel covers such as that of Iron Man #128, which featured the unforgettable “Demon in a Bottle” storyline. 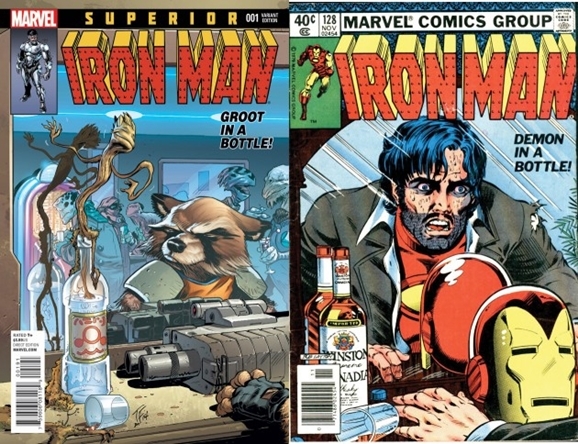 The new version on the left is by Tom Fowler, and will be showcased as the cover of Superior Iron Man #1. Check out more of the variant covers after the jump, as well as a breakdown of this week’s new sci-fi comics! There’s been a great deal of chatter about Star Trek 3 lately. 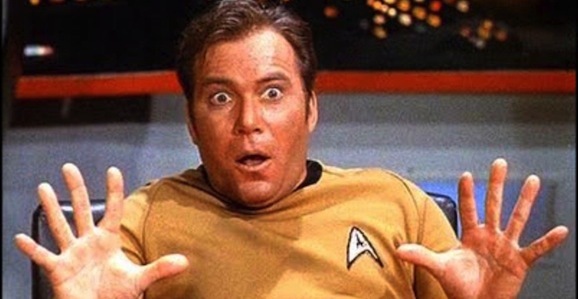 We’ve heard everything from potential start dates for production to overviews of what the plot entails, but few things have sparked as much interest as the idea that (probable) director Roberto Orci reportedly wants original Star Trek star William Shatner to cameo in the movie. This is all based on speculation, hearsay, and possible offhand comments, and now both men have weighed in on the subject. Thankfully we live in a magical time where any loudmouth can sound off on social media and the Internet and people will listen. 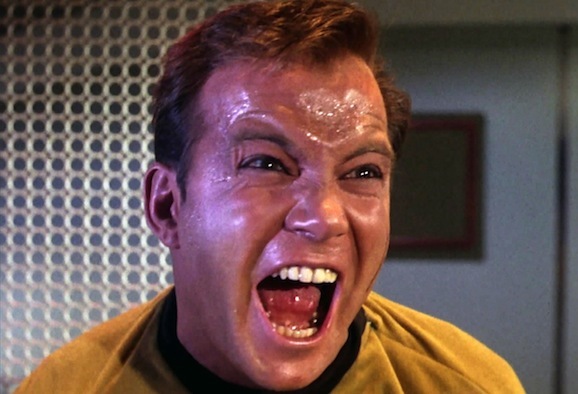 And one thing we know about Shatner is that the man is never shy about letting you know how he feels. Lets go see what he has to say.